A University of Southampton scientist will analyse data from the world’s first space mission devoted to the study of neutron stars – collapsed stars containing the densest matter in the Universe. 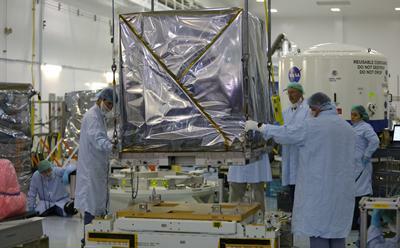 NASA’s Neutron Star Interior Composition Explorer (NICER) mission arrived at the International Space Station this week, and will begin observing neutron stars after its installation as an external payload. The refrigerator-sized piece of equipment features 56 X-ray telescopes and silicon detectors to provide high-precision measurements of neutron stars. It will also test technology that relies on pulsars – spinning neutron stars that appear to wink on and off like lighthouses – as navigation beacons, a technique which could eventually be used to guide human exploration to the distant reaches of the solar system and beyond. Associate Professor Wynn Ho, of the University of Southampton, is an expert in neutron star interior composition, and part of a large team of scientists collaborating on the mission. He will compute theoretical models that will be used to compare with the observational data obtained during the 18-month mission. He said: “I feel very privileged to be one of the few non-US-based scientists to have a major role in analyses of NICER’s science data. Neutron stars are unique tools for studying fundamental physics in environments that are inaccessible in laboratories on Earth. Neutron stars are the remnants of massive stars that, after exhausting their nuclear fuel, went supernova and collapsed into super-dense spheres about 15 miles wide. Their intense gravity crushes an astonishing amount of matter — often more than 1.4 times the mass of the Sun, or at least 460,000 Earths — into these city-sized orbs, creating stable but incredibly dense matter not seen anywhere else in the universe. Just one teaspoonful of neutron star matter would weigh a billion tons on Earth. Although neutron stars emit radiation across the spectrum, observing them in the X-ray band offers unique insights into their structure and phenomena that can arise from these stars, including starquakes, thermonuclear explosions, and the most powerful magnetic fields in the Universe. NICER will collect X-rays generated from the stars’ tremendously strong magnetic fields and from hotspots located at their two magnetic poles. At these locations, the objects’ intense magnetic fields emerge from their interior and particles trapped within these fields rain down and generate X-rays when they strike the stars’ surfaces. In pulsars, these flowing particles emit powerful beams of radiation from the vicinity of the magnetic poles. On Earth these beams of radiation are observed as flashes of radiation ranging from milliseconds to seconds depending on how fast the pulsar rotates. Because these pulsations are predictable, they can be used as celestial clocks, providing high-precision timing, like the atomic-clock signals supplied through the Global Positioning System (GPS). Although ubiquitous on Earth, GPS signals weaken the farther one travels beyond Earth orbit. Pulsars, however, are accessible virtually everywhere in space, making them a valuable navigational solution for deep-space exploration. 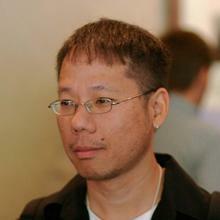 Dr Wynn Ho is an Associate Professor within Mathematical Sciences and Physics and Astronomy at the University of Southampton.